A whole month of Harry Potter Christmas crafts begins today! First we are bringing you a Harry Potter Christmas card. I love holiday card exchanges and I signed myself up for one again this year. I’ve been seeing adorable snitch ornaments online and it inspired the idea for a golden snitch card. The Christmas cards are really easy to make and I’m very excited to send them to my Harry Potter loving friends! Write your message on the inside and spread some holiday cheer! Have you crafted any other Harry Potter Christmas cards? We want to see them! Also don’t forget about our Dobby the House Elf on the Shelf contest! 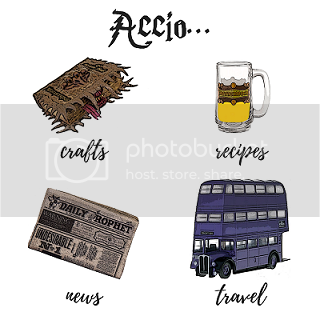 If you love Harry Potter Christmas crafts, be sure to subscribe below to get our crafts straight to your inbox! We’ll be sending our month of Christmas crafts out to our subscribers and sharing special tips that can help you make your projects even better!